Another teenager has died as a result of the pernicious social virus of our age – bullying. Every time it happens it feels as if there’s no light at the end of the tunnel of person-on-person cruelty. The Columbine High School case and many others that got attention worldwide have failed to make the bullies understand that every person deserves to be respected regardless of who they are. 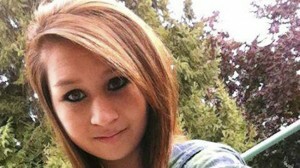 This latest victim of bullying was 15-year-old Amanda Todd from Canada. Just weeks before taking her own life just over a week ago, Amanda posted a heartfelt video on Youtube entitled ‘My Story: Struggling, bullying, suicide and self harm’, where she disclosed all her personal pain at the hands of school bullies. Amanda’s agony started when she was only 12 years old after an unidentified man led her to expose her breasts via webcam. After she refused to comply with his demands to “put on a show”, the man sent photos of her breasts everywhere – reaching her classmates, teachers, friends and family. She moved from place to place, switching schools several times but the nightmare always found a way to haunt her no matter where she went. Crucially the bullying never stopped and Amanda was laid low by anxiety, depression and eventually turned to alcohol and drugs. Amanda was found hanged in her home in British Columbia, Canada, one month before her 16th birthday. As family and friends still struggle to come to terms with the suicide of Amanda Todd, a campaign has been launched to raise awareness about the consequences of bullying in an aim to curb this worrying trend. Amanda’s heartbreaking story has touched people all over the world. Many thousands have posted personal online tributes to the girl in a campaign to stop bullying and promote kindness instead. On Youtube, more than five thousand videos were uploaded with people sharing their experience and posting stories about what happened. Even First Minister of British Columbia, Christy Clark, posted a video offering her condolences and condemning bullying. The Facebook memorial page ‘R.I.P. Amanda Todd’ has already received nearly one million likes is its first week. Thousands of people share thoughts of kindness in Amanda’s memory. Carol, Amanda’s mother, believes it is important to share experiences to draw attention to the dangers of online bullying. The local Parliament is already discussing the creation of a special committee as part of a national anti-bullying strategy. Lawmaker Candice Bergen responded positively to the call but she pointed out it is important to add more acts of kindness and respect to the process.